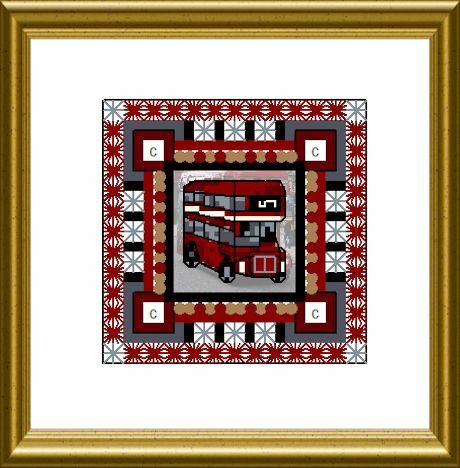 This tiny over-one double decker, the old-fashioned London City Bus, can be stitched with the frame for a nice little gift – finished as key holder “cushion” or with a larger piece of fabric and well stuffed as scissors finder. 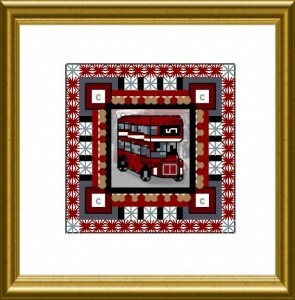 For those stitching the OCF – ONL 147 – The London Garden Mandala – this can be used -without the stitched frame- als insertion into the empty gates of the bus station in the bottom right corner. This was once a “freebie”, but is momentary retired.